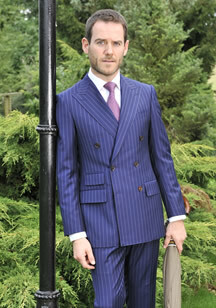 Airforce blue two piece suit in a high twist fresco, 100% Wool. 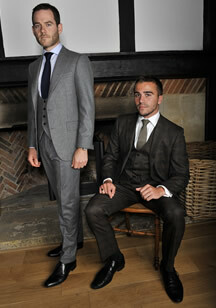 Light grey flannel three piece suit in super 100s pure new. 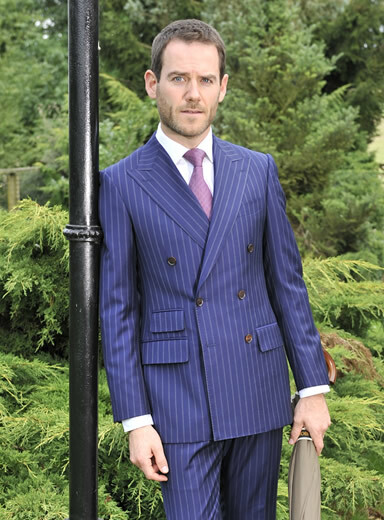 Navy stripe Double breasted two piece suit in super 110s pure new wool. 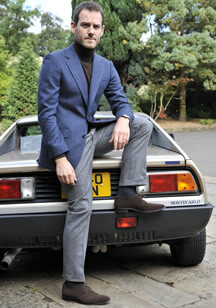 Light grey three piece wool flannel. 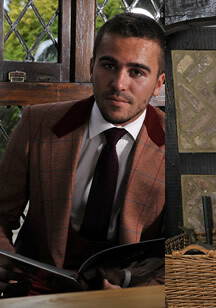 Mulberry check jacket and waistcoat with a velvet collar in wool cotton cashmere. 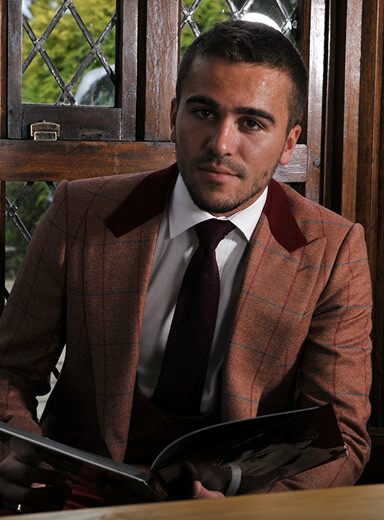 Olive check three piece suit in super 110s pure new wool. Navy harris tweed double breasted waistcoat plus four button u shaped waistcoat in wool cotton cashmere. 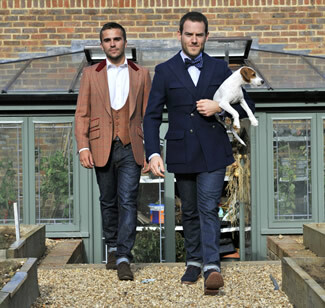 Choose from over 4000 fabrics ranging from entry level to high end Saville Row. 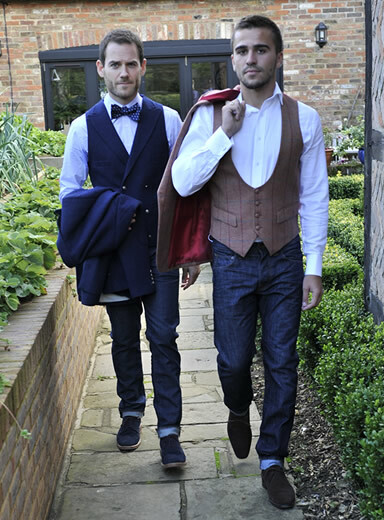 Create a suit to meet your needs and your budget. We offer a fused conventional construction, together with full and half canvas - ensuring that whatever your choice you make the right impression. 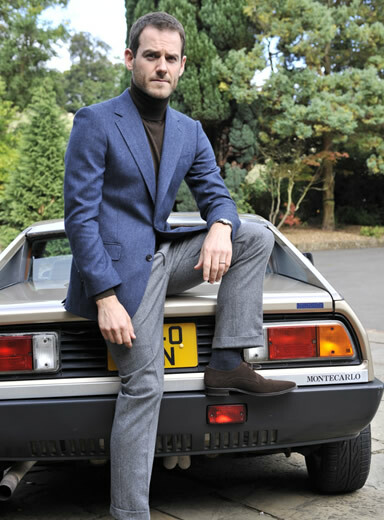 Navy wool cashmere single breasted fly fronted overcoat. 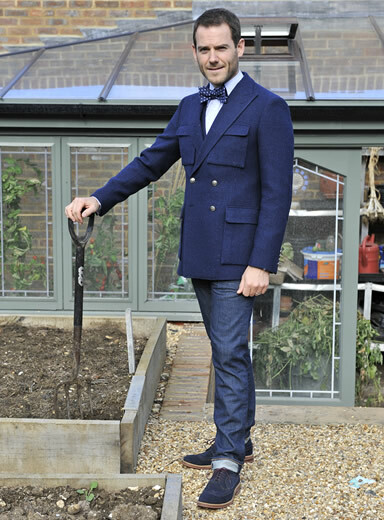 Navy double breasted Harris tweed jacket. 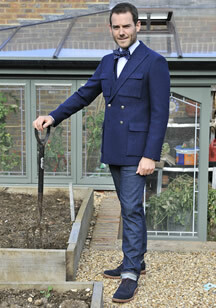 Navy lambswool and angora two buttoned jacket.